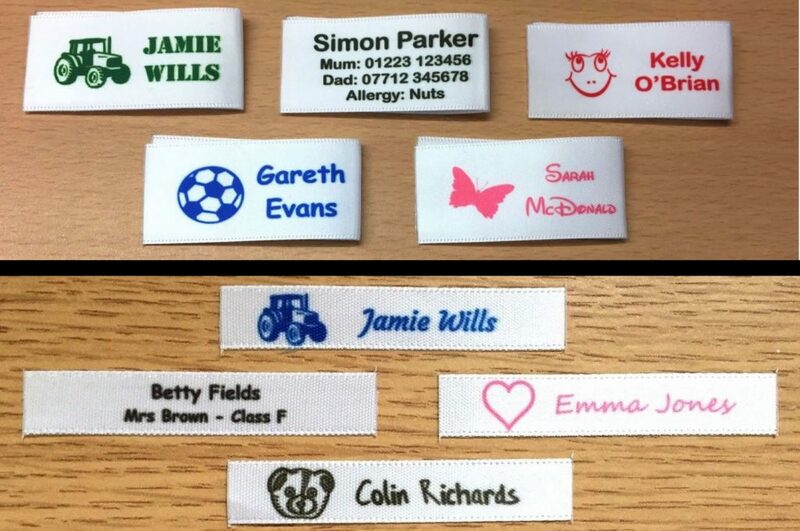 If you’re looking for personalised sew in name tags and tapes you have come to the right place. Here at Cambridge Personalised we specialise in the very same and can offer an almost unlimited amount of personalisation options thanks to our bespoke label manufacturing process (more about that later). Whether you need a name tags or tapes for your school or nursery children, a care home resident or a product you are making it’s something we can provide. 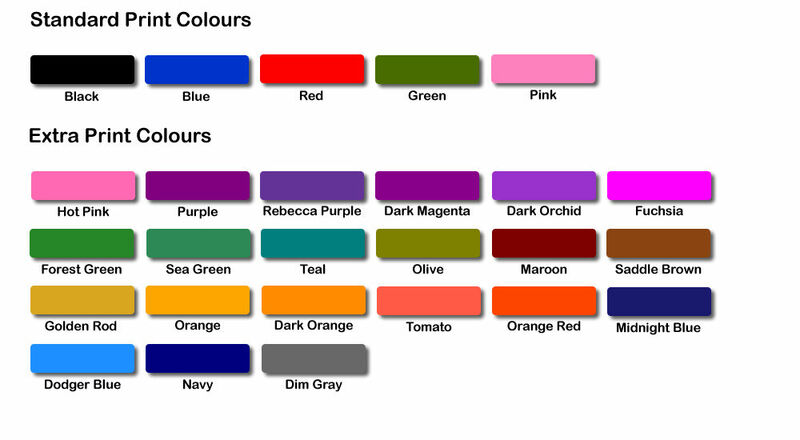 In terms of the personalisation options available to you our unique process allows us to print in full colour e.g. your logo or if you’re looking for a custom designed label this is also something we can help. Obviously we also provide traditional standard name labels e.g. Emma Jones Class 1 or Doris Whitfield Room 12 and although they can just be printed in a standard bold black font you can choose from 10+ fonts, 20+ print colours, 50+ optional motifs and our labels also come in several sizes to suit your needs such as 25mm or 10mm and more. We produce all of our own personalised sew in name tags and tapes at our Cambridge UK facility, our bespoke in house developed process allows us to produce labels that are full colour if needed and with an almost unlimited amount of personalisation options which allows our customers to have their labels exactly as they require. The process we use produces clear, crips and fade free name labels and has a proven track record with many thousands of labels made and sold to hundreds of happy customers and our feedback reflects this. In terms of our claims about fade free longer lasting labels this is backed up by a proven process that has been thoroughly tested, such tests have included washing in both bio/non-bio washing detergent, very hot temperatures exceeding 100c+ and even soaked in concentrated bleach with no adverse effects.